Natchitoches Parish commissioners-in-charge met Tuesday, Jan. 9 with Clerk of Court David Stamey and his staff to become certified and for updates on any election day procedures. The most notable change in procedures is in the area of assistance to voters. According to the Information Pamphlet for Election Day Voters provided by the state to commissioners, any voter who has a visible physical disability or who presents a current mobility-impaired identification card bearing the photograph of the voter and the international symbol of accessibility issued by the La. Dept. of Public Safety and Corrections, along with the person assisting them in voting must be allowed to go to the front of the line to cast a ballot. There was also a slight change in the approved disability documentation. A voter with disabilities can register to vote indicating they need assistance. Voters requesting assistance because they are unable to read will be allowed to have assistance. New this year, a voter who is physically disabled is entitled to assistance without having previously registered for assistance. On election day, the voter can complete and sign a Physical Disability Affidavit form and complete a new Voter Registration application with an update to request assistance. 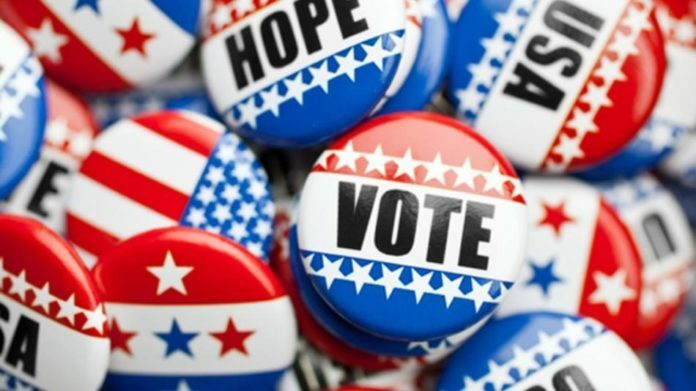 In addition, on election day, if a voter presents the commissioner with a physician’s certification, a current mobility impaired ID card or an award letter of disability, then the voter may receive assistance. These changes are geared toward making it easier for disabled voters to receive the assistance they need. It eliminates the need for the voter to appear in person at the Registrar of Voters office. The voter can have the changes made at their polling location. The Secretary of State announced the following election dates for the year. Saturday, April 28 Natchitoches Parish School Dist. 9 tax Tuesday, Nov. 6 Federal election for US Representative. All Natchitoches Parish School Board seats Municipal elections for Ashland, Campti, Goldonna, Provencal and Robeline Saturday, Dec. 8 Any run offs from the Nov. 6 election.